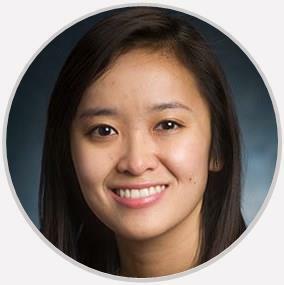 Born and raised in Houston, Dr. Becky Luu is excited to call the Dallas her new home. Her clinical passions are in pediatric primary care, concussion, myopia control, pediatric contact lenses and providing care to the special needs population. The reviews listed below were collected independently of Pediatric Ophthalmology & Adult Strabismus through rater8. Each review represents an authentic and verified patient experience. Dr. Luu is very professional, polite and cheerful. She is respectful towards the children and parents. Great appointment. Would highly recommend her. She was very thorough and actually cared!! Very knowledgeable and made sure we understood everything she observed and was concerned about. The time & patience that was taken with my 6yo was relieving during what could have been a more stressful visit. Very good. She actively listened to what I was saying and worked proceeded accordingly. Born and raised in Houston, Dr. Becky Luu is excited to call the Dallas her new home. Her clinical passions are in pediatric primary care, concussion, myopia control, pediatric contact lenses and providing care to the special needs population. Dr. Luu is a proud Longhorn alumnus! She graduated from the University of Texas at Austin with a Bachelor of Business Administration in Supply Chain Management and continued her education at the University of Houston College of Optometry where she obtained her Doctorate of Optometry (O.D.). Afterward, she furthered her clinical training and completed the pediatric residency program at the University of Alabama at Birmingham School of Optometry. During her residency, she provided care to over 1,200 pediatric patients in areas of strabismus, low vision, red eyes, contact lens, and binocular vision disorders, such as convergence insufficiency. It was also then that she was exposed to the world of concussion. She worked in a multidisciplinary setting with other physicians and therapists to treat and manage symptomatic concussion patients. In addition to providing direct care for concussion patients, she was also active in the research field and was the principal investigator for an ongoing concussion study. She is happily married to an actuary and Plano native. They both love to travel, explore different activities (their latest ones including archery and rock climbing!) and try new restaurants. She is a member of the Texas Optometric Association and the American Optometric Association.